I am very pleased that Modes4u has provided me with some wonderful items for me to show in today's post. I am also very happy for this opportunity to encourage you to see the many really cute and fun items you can find at Modes4u. They make available a wide assortment of bento boxes, one of which I used to pack this lunch. They also offer a great collection of bento accessories which can quickly add that extra dash of cuteness to your presentation. Their site is a great wonderland and I recommend it as one of those must see websites! 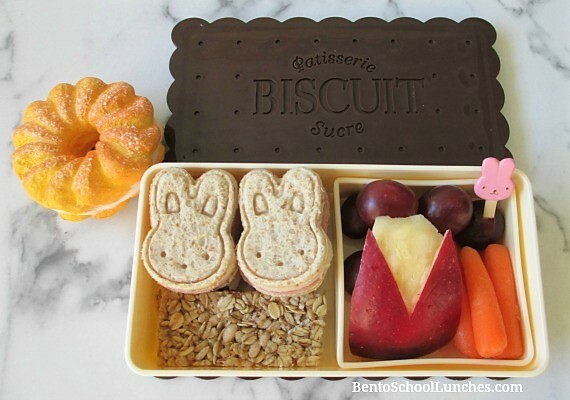 For this bento I made some bunny sandwiches which were shaped with a cutter and stamper set. As they are small, I stacked up two pairs of them and included a granola bar on the left side section. The right side section I filled with organic baby carrots, some red seedless grapes and a section of apple that I cut to the shape of rabbit ears. 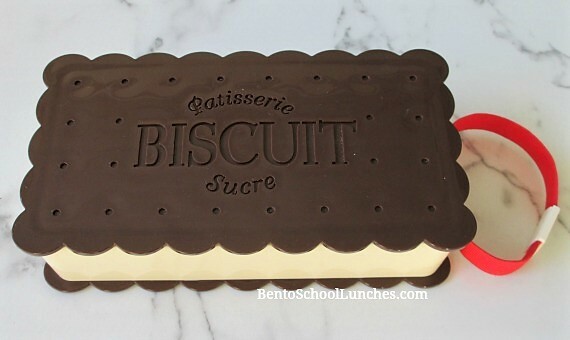 This lunch was packed in a biscuit bento box that looks so much like an ice cream sandwich that you almost want to take a bite out of it. It is one of the many great bento boxes you can find in their bento collection. Picks, like the little pink bunny one that I used for this lunch, baran dividers, cutters, sauce containers and much, much more are awaiting your visit to their accessories pages. 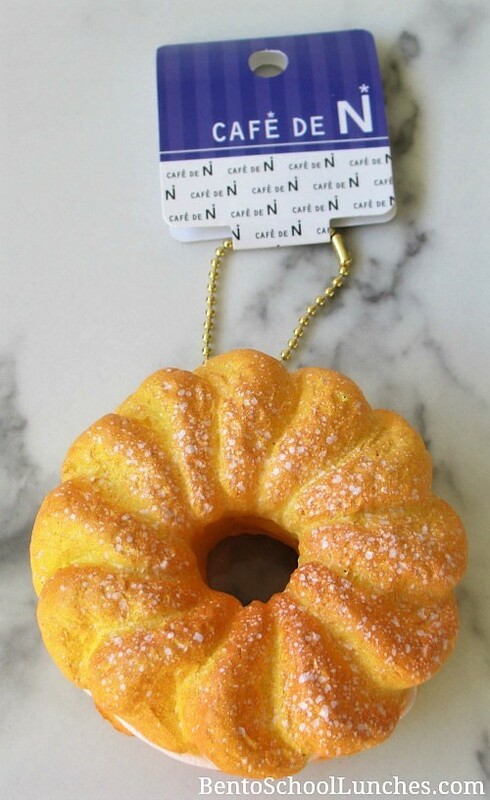 Did that French cruller look so yummy you could almost smell it? No, that delicious looking pastry alongside the bento is not a real French cruller even though it looks so wonderfully tasty and mouth watering. It is one of the fantastic Kawaii squishies from the huge collection that can be found in their Squishies pages. You can't imagine how much fun I've had looking at all their goodies! Make yourself a cup (or perhaps even a pot?) 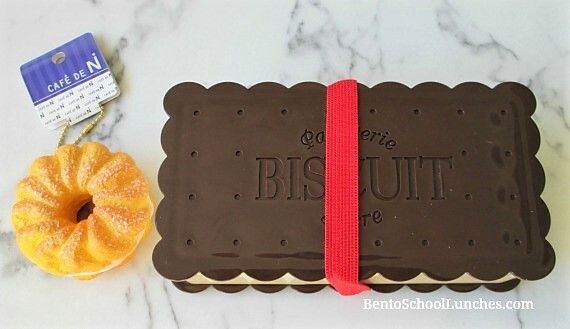 of coffee or tea before you start scrolling through their amazing site with huge selection of cute bento accessories, squishies and much more. Happy shopping! Disclosure: Modes4u generously provided me with the products for review without cost to me. All opinions are my own. Such a cute lunch and lunchbox! I love the apple ears, great idea!